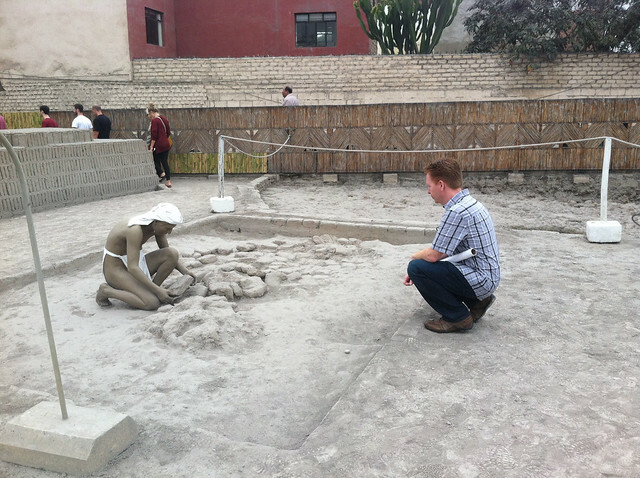 I visited Huaca Pucllana twice. I laughed more on my second trip with my hubby. We also did lunch at the restaurant. Photos of Olivia Newton John and President Clinton hung inside the bar. Business lunches and World Cup watch parties shared the patio and dining room. Workers illuminate the archeological site for the dinner service. I had my first ceviche de pescado in Peru here. Tangy, sour fish strips paired with sweet potatoes and pozole. Mark had a lovely fish curry. 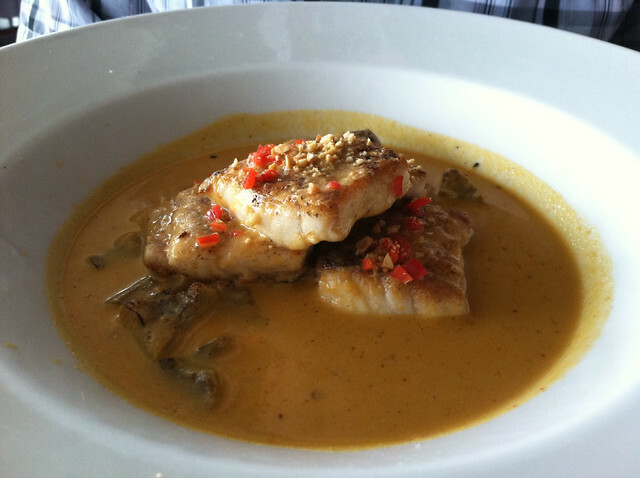 The chef used corvina. 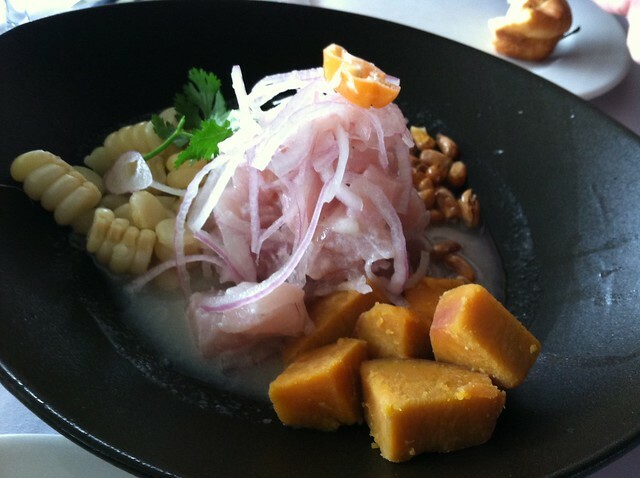 It’s a popular fish in Amazon cuisine. I fell in love with the Lomo Saltado. 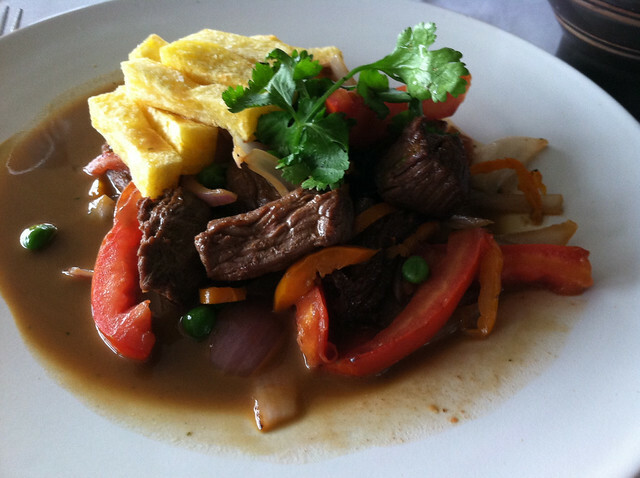 Savory beef over vegetables and yucca fries. Friends and friends of friends advised me to try this in Lima. Great suggestion! I liked using white rice to spoon up sauce from the marinated beef strips. 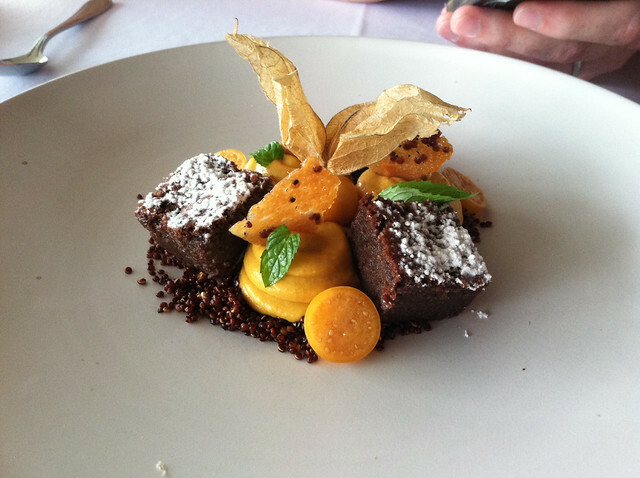 We had lucama mousse with chocolate brownies for dessert. Our tour guide said tribes (Pre-Inca) used lucama fruit. It tasted sweet and rich. It had hints of coffee and tasted amazing with the chocolate. It was served over crunchy quinoa bits. That looks absolutely delightful! 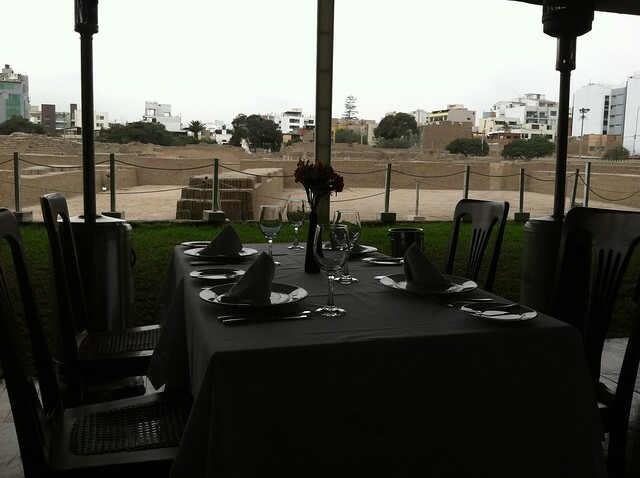 And how cool is that to be able to dine beside an archeological site? !